Allison was born and raised in Rock Hill, South Carolina. She earned her Bachelor’s Degree in Health and Exercise Science from Furman University and her Master’s Degree in Occupational Therapy from the Medical University of South Carolina. After graduation, she returned to the upstate she fell in love with as a student at Furman and has been here since. 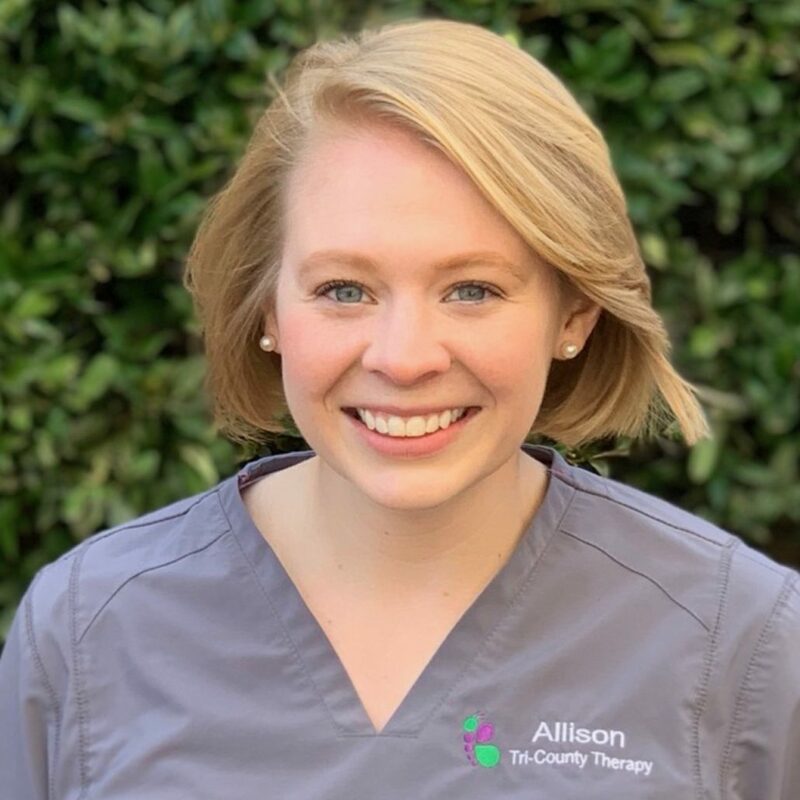 Allison has more than 5 years experience working in outpatient Pediatrics with a variety of diagnoses including Autism Spectrum Disorder, Sensory Processing Disorder, Cerebral Palsy and Apraxia. She has additional training in the Kinesiotaping method, treatment of feeding and swallowing disorders and sensory processing. Allison and her husband Houston live in Greenville with their two rescue dogs, Muggsy and Millie. In her spare time, Allison enjoys baking, being with her nieces and nephew, serving at their church, exploring the upstate and watching college football.